Located at Art Science Musuem. 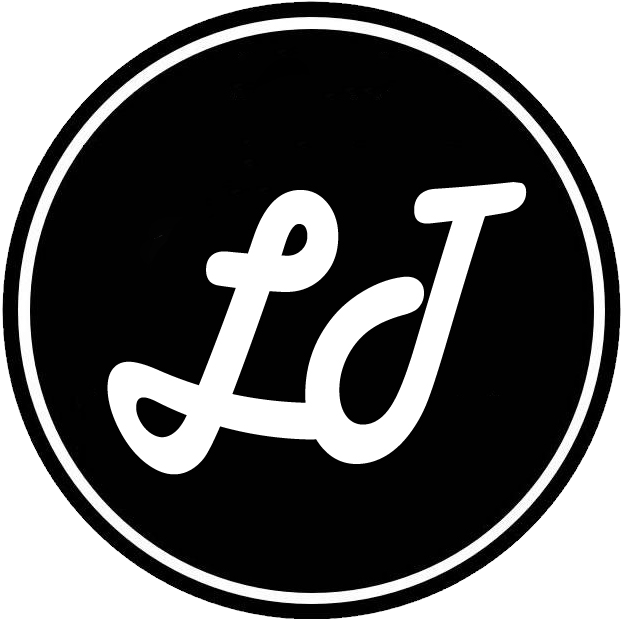 From 29 Oct 2011 to 29 April 2012. Upon entering the ship. Each will be given a boarding pass with the real passenger details. It will show you who you travelling with and which class cabin you stay throughout the journey of Titanic. At the end of the journey, you can check if he/she survive the tragedy. Personal belongings found. Amazingly still in good condition. (Left) This is a full-scale recreation of Titanic’s famous Grand Staircase. (Right) long third-class corridor. From the ship’s porthole, big wrench. These are some of the artifacts that had been recovered from the wreck. (Left) The infamous iceberg whereby visitors are allowed to touch and feel the coldness at the time titanic sank. Most of the passengers died of hypothermia. (Right) A replica of Titanic. At the end of the journey. Visitors will take their boarding pass to the Memorial Wall and discover whether their passenger and traveling companions survived or perished. Unfortunately, the passengers on my boarding pass did not survive the tragedy. We saw this exhibit in Long Beach and we were fascinated. Amazed us how those items survived salt water for so many decades. Equally fascinating was the process used to reintroduce the items to the world, basically weaning them out of the salt water. 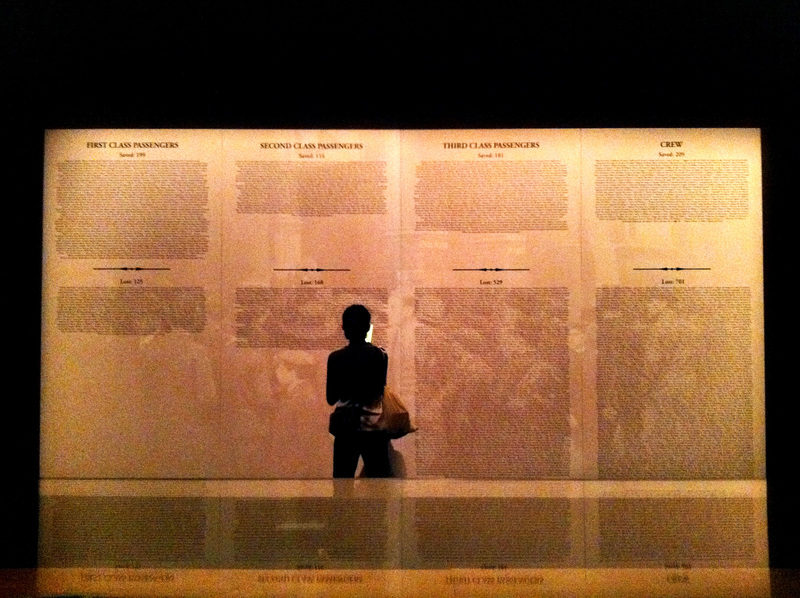 Now, I wish I had taken the time to see the exhibit again when i was in Singapore in March. Different country has different artifacts displayed throughout the exhibition. Just recently i heard about an australian billionaire to build a high tech replica of The Titanic which will be ready in 2016. Maybe they call it Titanic II? Thanks for visiting Raglan Castle with me! It was a show castle in its day; we enjoyed the time spent there and the sunshine was kind to us. Your Titanic blog is amazing; what a great way to do the entry passes. I am almost wishing I could go there too! For secret photos, these are awesome! Waiting for your post soon! This is a wonderful post. I love to go to historic exhibitions and if I’m locky take pictures also. I also like your narritive on the photos. One thing I wouldn’t want is the boarding pass with the passagers name on it. That would make it too real for me and grieve me more to learn they died in the end. True. Pretty sad tragedy indeed! Thanks for the visit to my blog and the ‘like’. 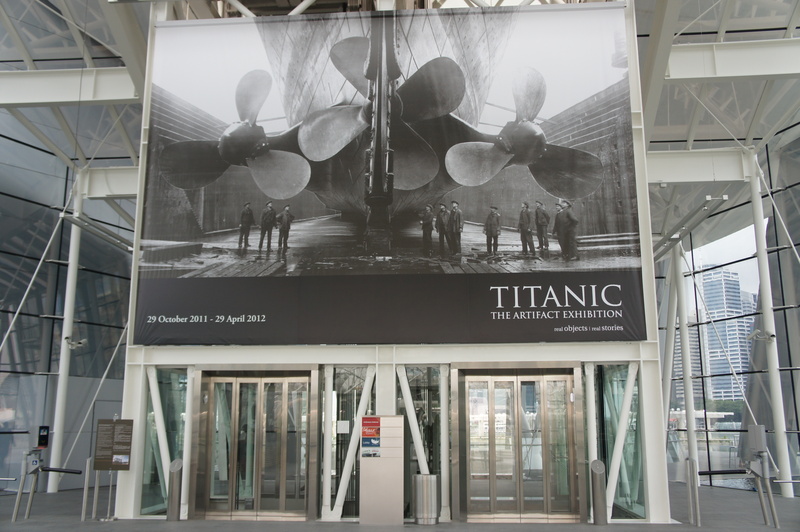 I’ve just been to The Titanic exhibition and enjoyed it too. I regret now I wasn’t sneaky enough to take pictures. But I think I have enough to go on. We loved the Lion City! So much to do and see and eat. Really, if you go local with Singapore it’s all about the shopping and eating. Did you make it out to Jumbo’s for chili crab? Hello. Good thing you were able to take pictures of the exhibit.